Check out our fantastic new package at this Cozumel beach resort, offering everything you could possibly want for an unforgettable day of sand, sea and sun. Our unbeatable deal includes full use of the resort, pools and water park, as well as snorkel gear, open bar and all-you-can-eat buffet. 5,000 Cozumel Fans Can't Be Wrong! 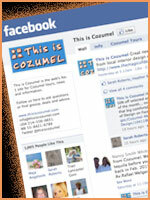 The This is Cozumel Facebook page now has more than 5,000 fans and the number keeps rising! Social media is now a central part of Cozumel visitors' travel planning and our Facebook community allows anyone to ask questions that regular island visitors and residents can help answer. This trusted, independent advice, along with a rich mix of island news and offers, make the page an essential resource for lovers of Cozumel. 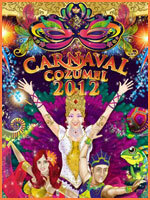 Cozumel Carnival 2012 has officially kicked off and the new King and Queen were elected at a spectacular event last night. Andrés Canul "Cholin" and Karla Angulo were voted the proud winners against a backdrop of thousands of screaming carnival fans. The six candidates all appeared in magnificent multi-colored carnival costumes, demonstrating why they thought they should represent more than 130 years of carnival tradition in Cozumel. Enjoy the thrill of racing in a genuine, classic America's Cup yacht on our exclusive new tour. 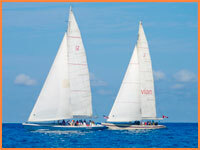 Work with your team to be first over the line in an exciting Cozumel regatta. No experience necessary, you choose what part to play, from captain, to winch grinder, to beer-server. 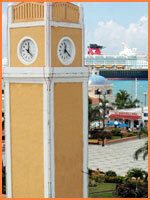 If you're visiting Cozumel between March 11 and April 1, 2012, watch out for an extra hour time difference between Mexico and the United States and Canada. 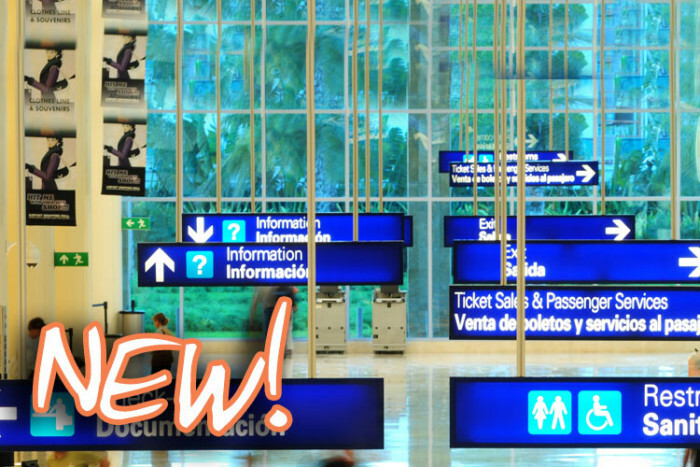 This happens because the United States and Canada change to Daylight Savings Time before Mexico and is especially important for cruise passengers, as some ships stay on the time of their United States homeport, even when they arrive to Cozumel.